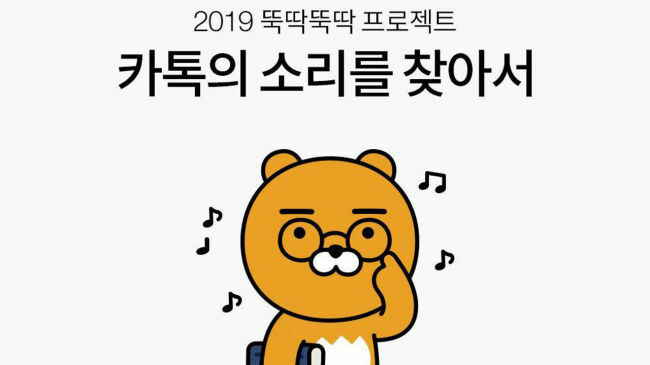 KakaoTalk, the most popular mobile messenger app in Korea, on Tuesday added new alert sounds to its service, ranging from a dog’s bark to the sound of money jingling. The update is the first in five years. “We developed the idea based on users’ practice of using different wallpaper for chat groups for identification purposes,” an official from KakaoTalk said. Of the previously available alert sounds, only the six most representative ones remain, while 26 new sounds have been added. In a promotional video on YouTube, a KakaoTalk message from the boss arrives with the sound of a dog barking --poking fun at the work-employee relationship. The latest update allows users to customize alert settings for different chat groups. For example, the alert “I love you” or the sound of a heartbeat could be used for a romantic partner, while the sound of money or emergency sirens could be used for a work-related group chat. KakaoTalk said it will continue to update different alerts for Plus Friends accounts run by businesses and more.